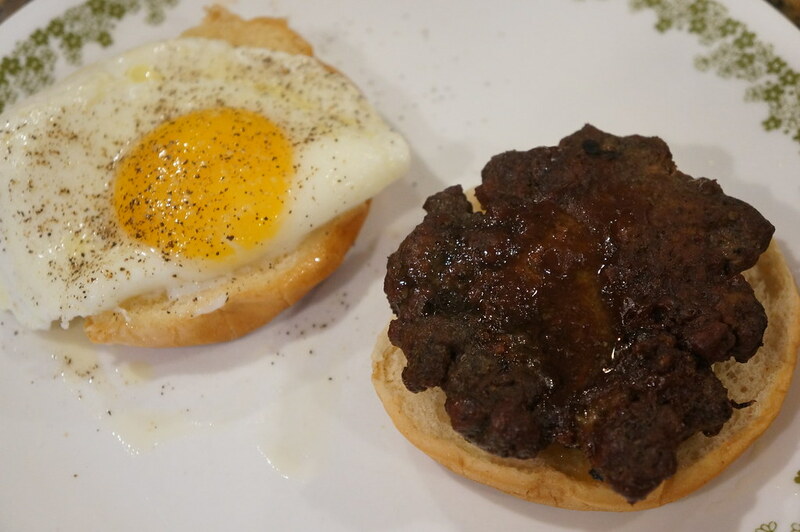 I felt a little hungry this morning and couldn't decide between a leftover grilled burger from yesterday or eggs. I went with both on a toasted buttered bun! Nothing fancy just a grilled burger with a lil coating of BBQ sauce and a sunny side up egg. Pretty damn good! Best to eat it while it's all still hot/warm with salt and black pepper. That looks so good at 0530 in the morning. i wish i had a burger in the fridge. I have one egg left and i'm thinking what to do!! I've seen the hype over putting fried eggs on burgers but that's with a bunch of other crap on the burger as well. 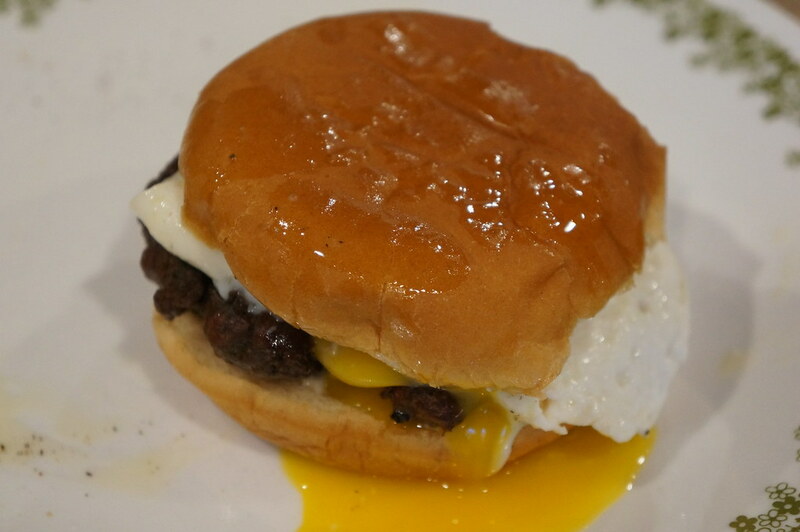 This was just a simple burger with a simple egg and it was delicious! Nothing else is needed.